Ok vacation is over. Holidays did gave me distance to my blog this past few months just to change my habits. Don't worry I'm not leaving my blog, I just want to bounce back to my old habits and getting back on my working mode. But enough of the rambling yes I'm back for another movie review. 2013's first week is such a treat for seeing 2 interesting films. I will start with 20th Century Fox's Life of Pi. Like what I mentioned on my previous post about the movie, it didn't give much of a good impression to me a first. And yes I don't know the book so don't throw me the "it is a fantastic book, you should know it" line because I really just don't care. So what is my first impression about the movie according to trailers. 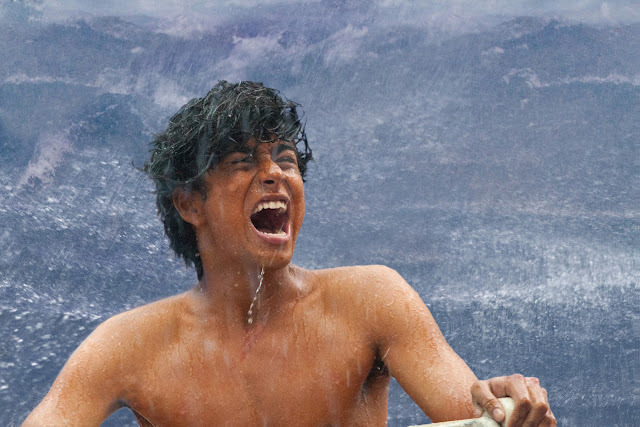 Well according to the trailer, Life of Pi is a story about a boy who survived a shipwreck on a life boat. Unfortunately he is not alone and he is joined by a Bengal Tiger on board the supply cache. Other than that the trailer didn't shell out more about the plot instead it gave a lot of video montage featuring the vast ocean on different states and yes, more of the lead actor and the Tiger. All I can see on this trailer is somehow a Jungle Book like story minus the jungle and race for survival like Tom Hank's Castaway. Then fast forward to weeks ago when I revisited it. I found out that the movie are praised by critics and even called the next Avatar. I'm not sure but being compared to Avatar gave me more doubt. So now I become curious. I was antsy to read infos about the movie and the book. But I stopped myself, because I don't want to be spoiled. So I stayed away from them including some of the PR materials of Fox. Last week I finally got the chance to see it. I was caught off guard by the film. Personally speaking, it is nothing like the things I read online. A lot of people praises the visuals which is stunning nonetheless. But it is just a cherry on top. 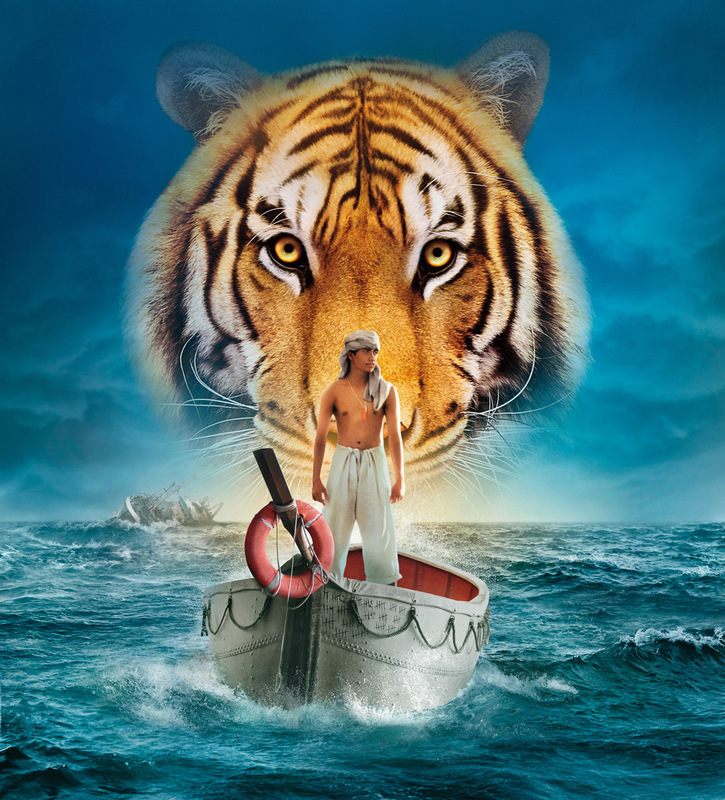 Life of Pi may have a very simple story but the way it is told makes it unforgettable. The intense and infectious emotions resonate on the whole cinema. The adventure is more than just a physical trip but a journey of minds as the movie preserves the book's narrative structure by sticking to old fashioned story telling than overly depending on reenactments through actors. Ang Lee gives audience the chance to imagine and visualize the story without being spoon fed. Life of Pi is a movie that will be more appreciated by people who loves reading text novels than those who love graphic fictions. The downside of this is you should always be attentive and try not to sit close to annoying kids inside the cinema. There are a lot of talking in the film that you need to listen to and absorb. Noisy moviegoers are the last people you will want while watching this literary genius. The characters are surprisingly endearing. I thought Jamal of Slumdog Millionaire is the last Indian character I will ever love in Hollywood films but Pi just captured my heart. 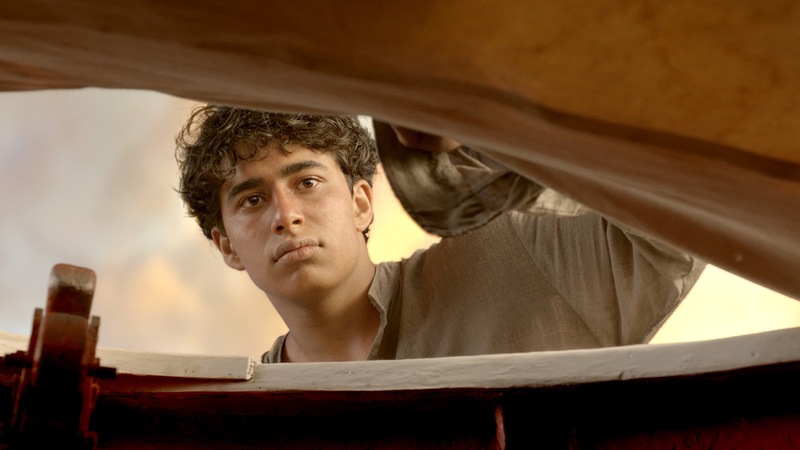 Suraj Sharma has a bright future for him in Hollywood though I suggest that he do more dramatic roles first rather than doing box office type movies or he may end up like Dev Patel who starred on a flop Last Airbender. His raw performance in Life of Pi is still not a Box Office material but he will definitely get there. Wrapping up my brief review about the film, Life of Pi is a magnificent film. But I'm afraid to say that it is not a movie for everyone. If you are the one who gets bored of narratives and endless journeys then the film is definitely not for you. Now showing in all cinemas nationwide, distributed by 20th Century Fox through Warner Bros.